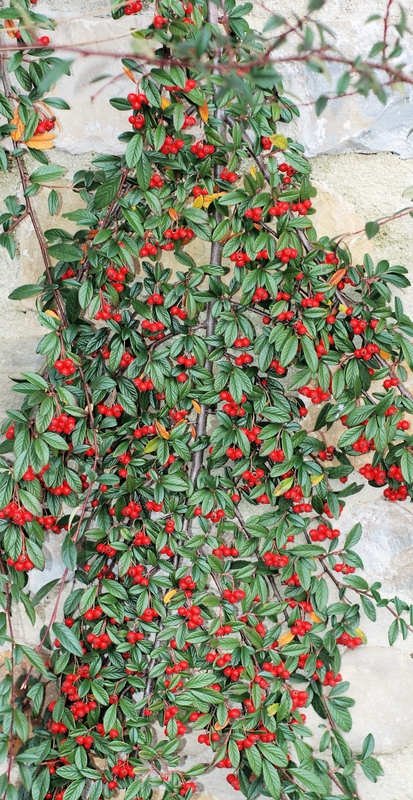 If only it were traditional to hang up cotoneaster instead of holly at Christmas! There’s a far higher proportion of red to green on our cotoneasters than on our holly tree. And we wouldn’t get pricked. Last but not least, by cutting the cotoneasters back, we’d make it easier to get down the passage! 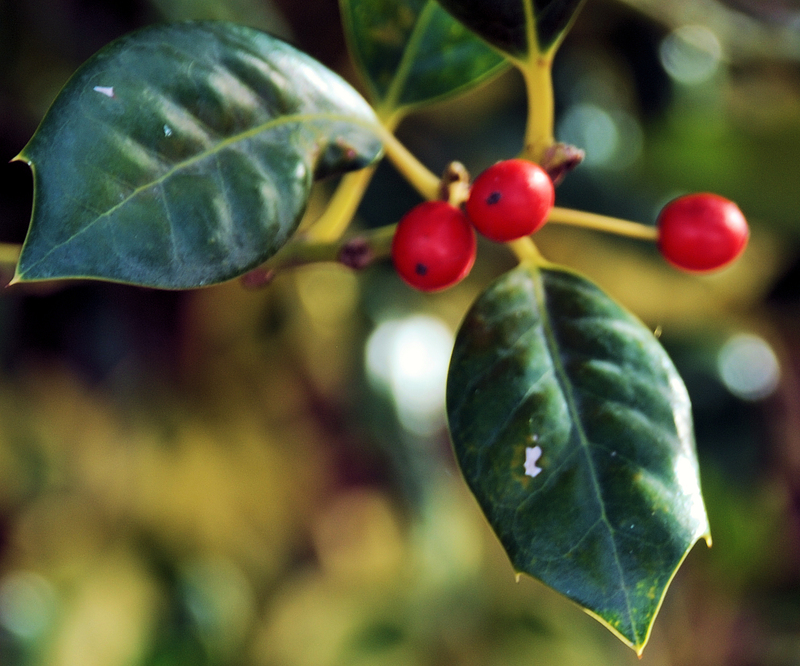 Time was when our holly tree – the most expensive tree I’ve ever bought, being already trained and shaped – bore one solitary berry. This year it bears quite a few – low down on one side. I wouldn’t dream of spoiling the symmetry of the tree by cutting any branches for the house. Christmas will have to happen partly in the garden.